“My house is your home” by local artist Ken Unsworth. 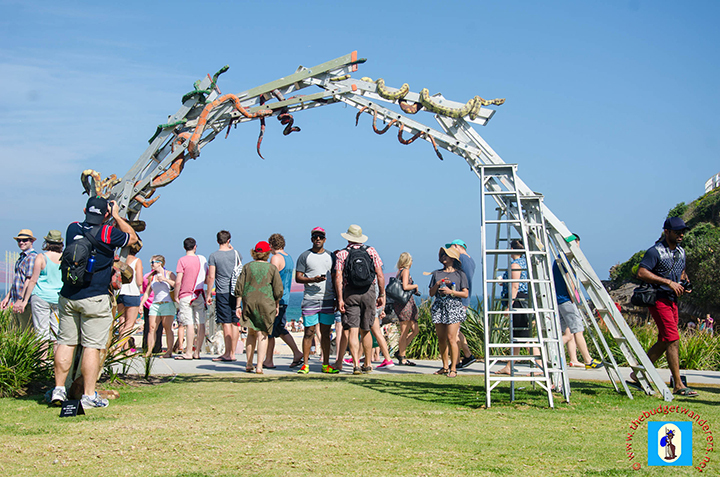 Another year of splendid, bigger-than-life, works-of-art are scattered along the walkway of Bondi beach to the shore of Tamarama beach. 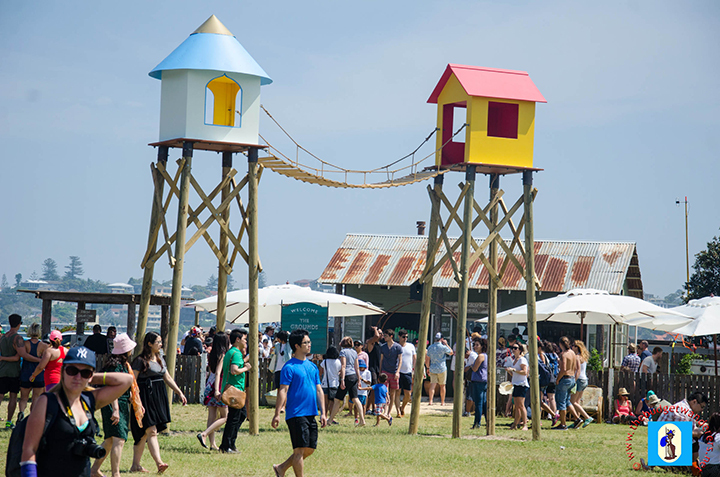 These two beaches in the eastern suburbs of NSW have been traditionally the home of Sculptures By The Sea. 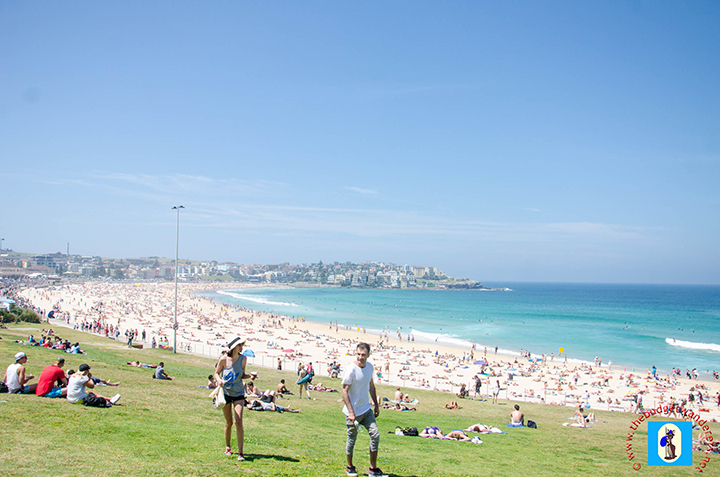 The famous beach of Bondi is home to the event in NSW. 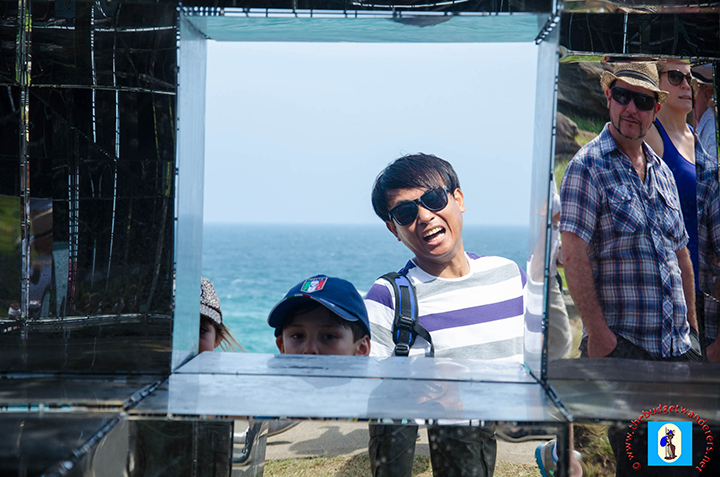 This annual outdoor-art gallery, known as the Sculptures By The Sea, gathers world-renowned artists, both locals and overseas, to showcased their artistry and creativity. 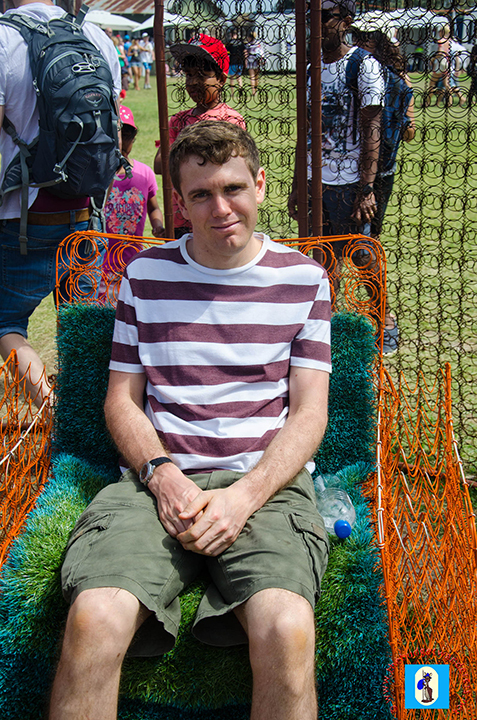 Although themes are varied, most often ingenuity is characterised in each artwork. It depicts that art can be created from anything as long as the artist has the eye for transforming it to something unique and remarkable. “Snakes and ladders” by Kiwi artist Hannah Kidd. “Billy: The worried magician ” by local artist Janaki Lele. 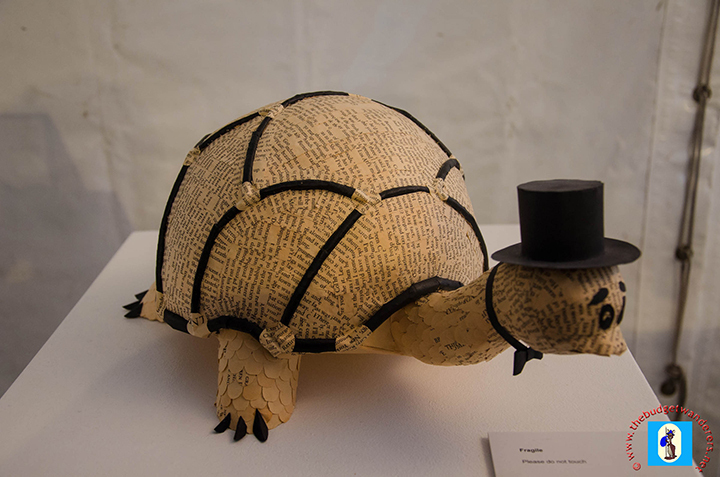 Most of the pieces featured in this year’s exhibit revolves around animals, the human form and abstract structures. However, what is apparent this year is the rusty and antique-look of each pieces. This is in contrast to previous years when bright colours were the norm. Each piece, however, still has the outstanding intricate details it represents. The Budget Wanderers having fun at the event. Amongst our favourites this year are: “Save our Souls”, “Snakes and ladders”, and “My house is your home”. “Wine talk” by local artist Richard Tipping. “Camel country 14” by Koichi Ogino. “Men playing with birds (2012)” by Chinese artist Wang Shugang. “Permanent sunrise” Argentinian artist Alejandro Propato. “Gift of the rhinoceros” by Mikaela Castledine. “Comenadvadrink and waddayalookinat (2013)” by Thomas Quayle. “Which way forwards?” by Harrie Fasher. “The folly (2012)” by Stephen King. “The ascetic” by Thai artist Naidee Changmoh. “The Wanderer (2013)” by Sean Henry. View from below of the “Save our souls”. “Save our souls” by Cave Urban. “Oceania cartouche” by Jock Clutterbuck. “Headrest” by Michael Le Grand. “Overconsumption” by local artist Kerrie Argent. “Big man” by local artist Will Maguire. “Boundless plains to share” by local artist Pierre Cavalan. “Look who (2014)”by Janaki Lele. “Morning Star” by Ayako Saito. “Metamorphosis – to the sky” by Japanese artist Tetsuro Yamasaki. “Big little hand” by local artist Nick Maxwell. The event will last until the 9th of November. Don’t forget to bring your cameras! Nice ones. I missed it this year, hopefully I’ll have time next year. Cool! I like Snakes & Ladders even though snakes creep me out! !